Approximately 2 years ago I went down south for the first time. I visited Mexico for my best buddy Miguel’s wedding. 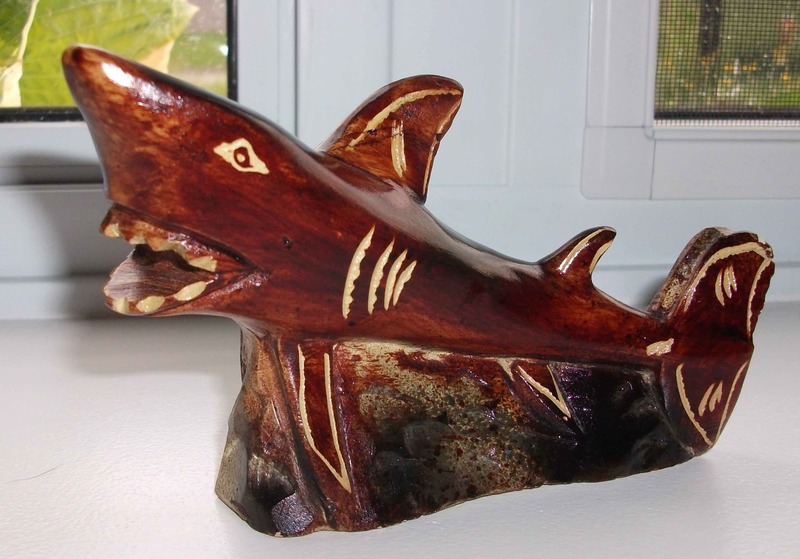 While I was there I purchased a wood-carved hammerhead shark souvenir which I reviewed on this site. 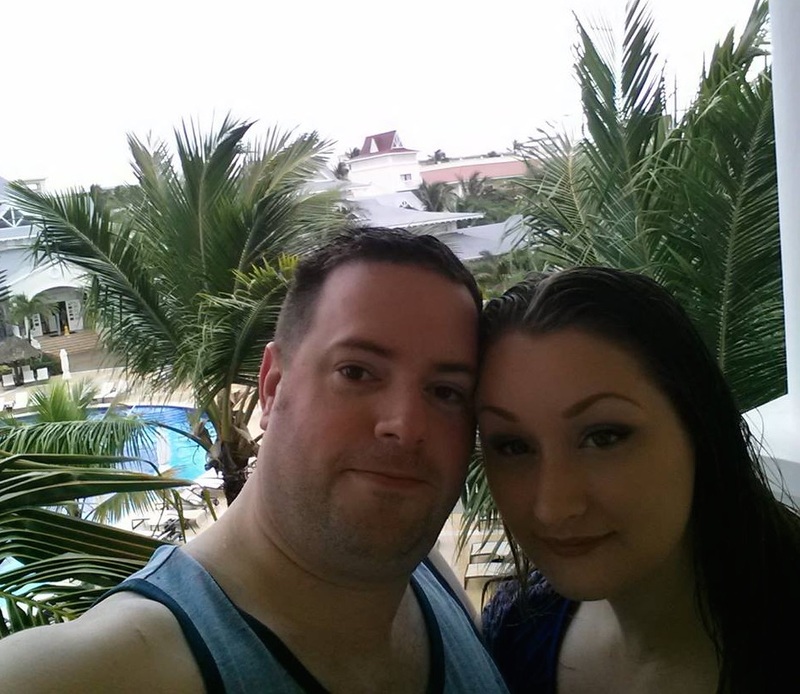 I hadn’t vacationed anywhere since until last month when Vanessa and I, along with Miguel, his wife Ashley, and our pal, Ryan, all spent a week in Punta Cana in the Dominican Republic. It was an excellent vacation. Other than some excessive rain the first day or two I have nothing to complain about. The resort was beautiful, the food was delicious, the company was great, and the drinks were constantly flowing. We spent the majority of our time either on the beach or in the pool (I won’t subject you to those pictures) which was extremely relaxing. A couple of years ago I never would’ve expected such a hot and lazy vacation to be up my alley but there really is something satisfying about having zero plans and never having to take out your wallet. 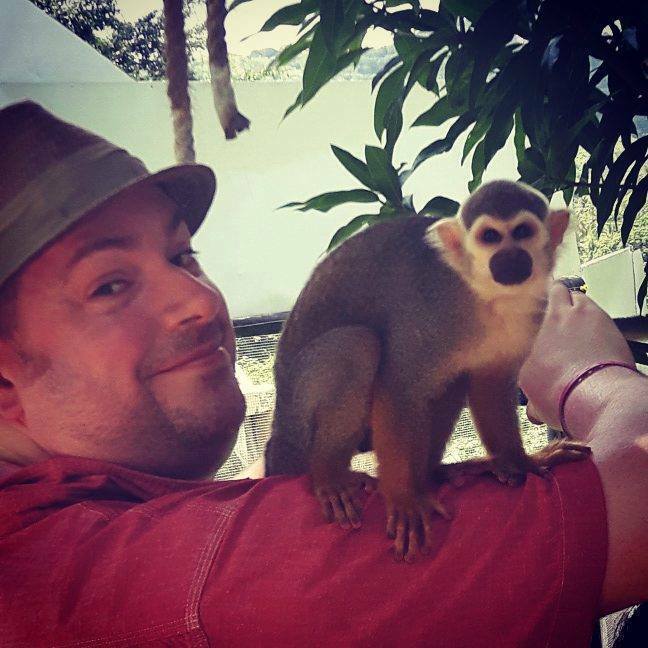 The only off-resort adventure we went on was an excursion to “Monkey Land” which was a monkey sanctuary crawling with 30+ spider-monkeys. I highly recommend it if you’re a fan of monkeys. There wasn’t much in the way of souvenirs for sale on the resort that interested me. There were lots of hats, and t-shirts, and sunglasses…the usual. There was also loads of mama juana. If you’ve ever been to the Dominican I’m sure you’re familiar with mama juana because it’s frigin’ everywhere. The first time it was offered to me I was certain the guy was trying to sell me weed. It can be purchased as a dried herb or as a drink. There were also plenty of wood carvings for sale in the various shops and kiosks. 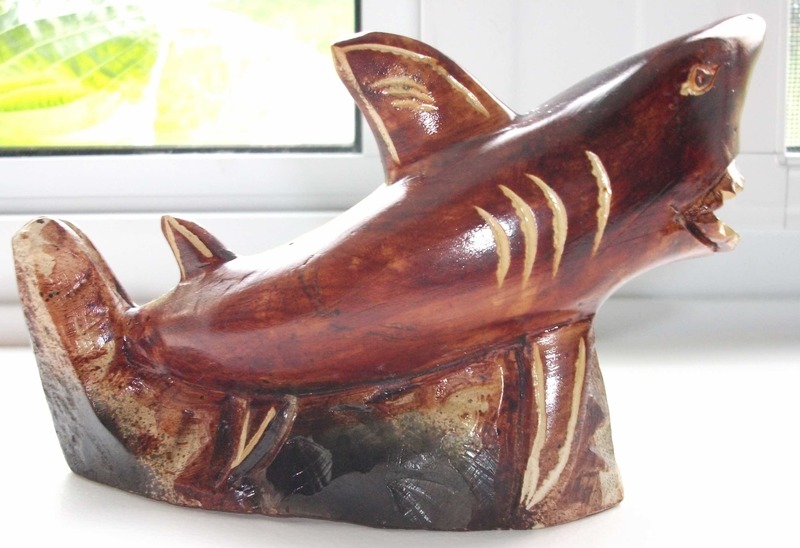 I considered buying a wooden car from a fast talking vendor named PJ but then I saw this great white shark and knew I had to get it instead. 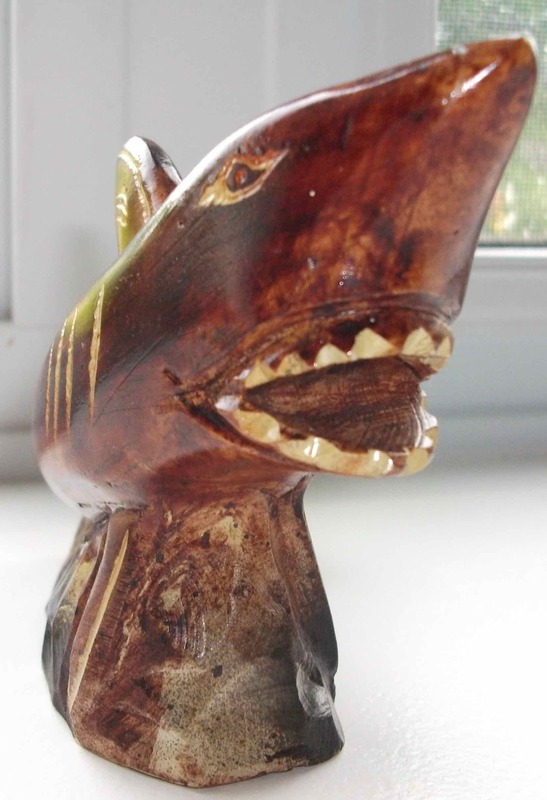 I have now officially started a wood shark collection. Anytime I see one from here on out I will buy it. I won’t pretend to be a shark expert but this one appears to be a Great White and it seems to be perched on a pile of rocks which is a little strange. The carving is crude and there is no etching to associate it the Dominican (though PJ offered to do it at an additional cost) but it’s a charming trinket anyway. I rated the Mexican Shark 10 out of 10 and this shark is clearly less refined so I’ll give it a 7 out of 10. Posted on June 22, 2017, in Miscellaneous and tagged Action Figure, Review, Toy. Bookmark the permalink. Leave a comment.